This soap has been around since the start of Lush and remains a firm favourite. Sophisticated and simple – the pure lemon oil in this acts as a pick-me-up and a mind cleanser, whilst the extra glycerine in the formula does wonders for the skin. Wet Hands/Face/Body..the rub soap bar between hands then work over the required area. Citrus limonum is a thorny, evergreen tree with irregular branches bearing shiny oval leaves. It produces white, pink-tinged strongly perfumed flowers, which turn into berries - the lemon fruit. I have had this soap multiple times , in gift sets , individually you name it is a smell that will always feel familiar, comforting and uplifting. 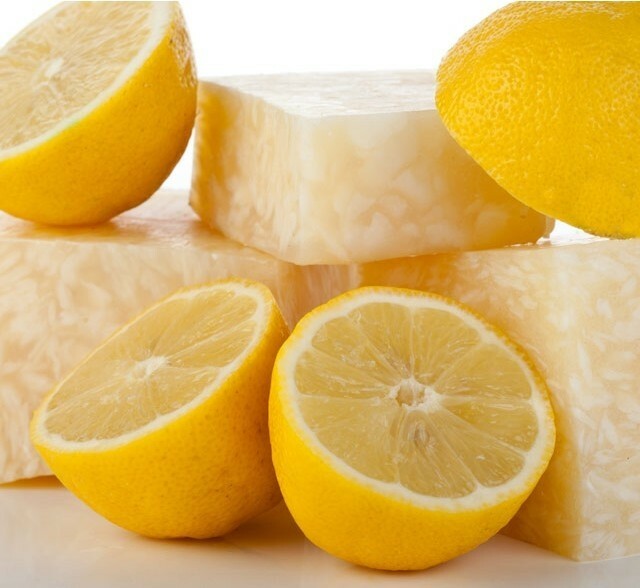 Heavily scented with delicious lemon which you could almost eat! (please don't) this will keep you smelling fresh for hours. The texture of the soap feels delightful against wet skin. No packaging needed but can also come in recycled paper or gift wraps made from recycled bottles. Like most soaps this can leave skin feeling dry. A lovely classic soap with the perfect scent for any occasion. I recently had a huge Lush spree just because I'd never tried anything from them but really wanted to and in that spree I bought 5 soaps. Out of those this was by far my favourite, though I wasn't really expecting it to be. It smells really fresh and lemony which is fantastic and cleans well. Honestly when it comes to a soap that's all I can say xD But I love using this and would definitely recommend it. The only thing that annoys me slightly is that you do need to cut the soap to make it a bit more of a useable size but that's common knowledge when it comes to Lush soaps anyway. 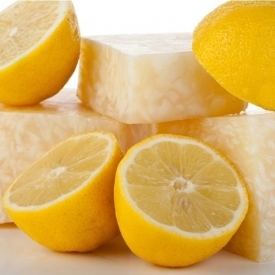 My daughter likes this for her face but I use it in my kitchen as lemon oil is a natural antibacterial. It also makes my hands smell fresh after getting smelly from chopping foods like onions. I have a friend who uses this a a shampoo as she has greasy hair and she finds it works really well . "I have had this soap multiple times , in gift sets , individually you name it is a smell that will always feel familiar, comforting..."